The U.S. wedding industry is big business--bringing in over $72 billion in revenue, according to recent report by IBISWorld. There are many ways to cash in on the timeless tradition, beyond the usual event planning job. If you have other wedding related products and services to offer couples, get your business rolling by reaching out to every wedding planner you can locate. Send company information about your products and services and samples, and remember to follow up a week later with a phone call. Still dreaming of how to segue your talents into the industry? Here are ways to find a business niche in the nuptial-related market. If you are not into planning entire weddings, you can still plan bridal showers, cater them, or offer decorating services, a place to host showers or offer gifts and/or mementos. 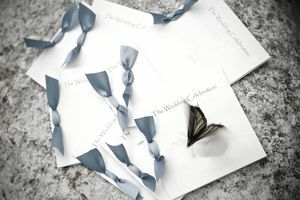 Most weddings have a use for a variety of products to set the mood and for guests to take home with them. Products include flowers, candles, vases, candy, fountains, ice sculptures, napkins, placeholders, rice bags, and small, individual gifts items wedding attendees can take home. If you have excellent writing skills and are a good listener, consider writing wedding vows for couples. You can offer these services in person, over the Internet, or by telephone interviews. You can also apply your writing talents to create personal invitations and announcements. Many weddings, parties, memorials, and receptions now offer PowerPoint presentations to share with guests. Presentations usually just involve using photos with brief text and movies. If you enjoy people and videotaping start a wedding video service. Even though most people own or have access to video cameras, a wedding calls for something more professional. Tape interviews with guests, family and attendants, and a special message from the bride and groom before and after the ceremony. In order to set your services apart from the "homemade" videos, as part of your product be sure to offer post-production services such as adding opening titles, captions, music, special effects, and making extra copies. Package the videos in custom cases. Buying the perfect gift for the happy couple can be challenging and time-consuming. Start a central gift registry of your own products or service to help guests purchase just the right wedding gift. You could also start a gift wrapping business. Eavesdrop! Join online forums and "listen in" on conversations between brides-to-be to learn about what the latest trends, and what brides love and hate. Subscribe to Bride and Wedding Magazines. Not only are the subscriptions business related and therefore, a business tax deduction, but they are an excellent source of information about weddings. Be sure to turn to the back of the magazine where other wedding businesses advertise and study your competition. Don't forget that the wedding day itself may be the big ticket for brides to be, but there are also business opportunities in providing products and services for bridal shower gifts, bachelor parties, and even the honeymoon. And, one year later, wedding anniversary gifts provide yet another opportunity for savvy business women.